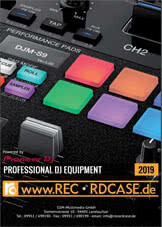 Flightcase per rack da 19"
Mixer a rack da 19"
Mixer per rack da 19"
Problemi con il tuo ordine? Chiama il +49-(0)9951-690190 - Siamo qui per te! Metodi di pagamento sicuri e veloci! 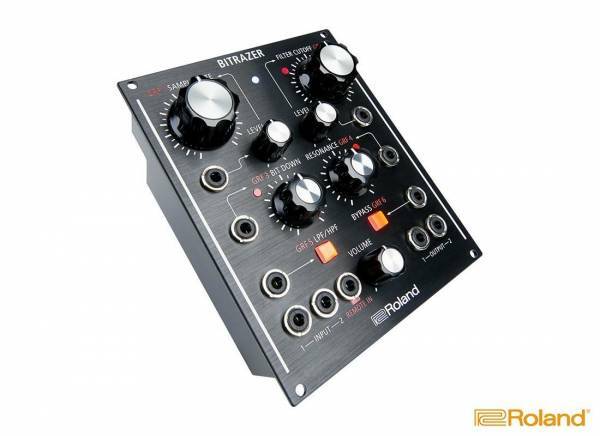 Informazione prodotto "Roland Aira Modular Bitrazer"
BITRAZER is a unique modular effect combining intense bit and sample rate crushing effects and unprecedented control and flexibility. Able to be used as a tabletop unit or as a Eurorack module, and with an array of CV/Gate inputs, this compact 21 HP unit has a wide range of uses from studio production to live performance. Not only for modular synth users, BITRAZER is perfect for keyboard players, guitarists, DJs or any adventurous musician looking to expand their sound. Carefully crafted in Japan, BITRAZER has large, ultra-smooth controls with over 16 million steps of resolution and is fully re-programmable via computer, smartphone or tablet. Sii il primo a scrivere una recensione per: "Roland Aira Modular Bitrazer"